I use my Cricut to cut out my hand-lettered designs… all the time! Let’s do a quick DIY tutorial on how you can design, transfer designs to Cricut Design Space and then cut out your designs. It’s a simple process! Using the Procreate App on your iPad, open a new canvas. Click the wrench icon on the top menu and select Insert a photo. Insert my lined lettering guide, for quick and easy alignment. Here’s a direct link to my 8.5 x 11” lined guide with 8 mm spacing. Open a new layer and letter a design. Click to add a new layer. Letter in the new layer instead of directly onto the guide. This way you will export a layer of your lettering or drawing with a transparent background. You can simply delete the guide layer. Select the layer and enable alpha lock to create a transparent background. Exporting your final work as a png with a transparent background is the simplest and quickest way to cut your lettering in Cricut Design Space. Export the design by either emailing yourself or export using Airdrop if you’re using a Mac. 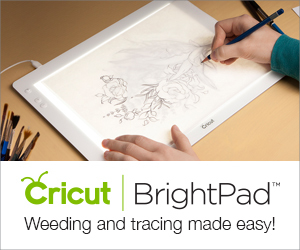 Be sure to export as a png to save yourself a few steps in Cricut Design Space. PRO TIP: There is a Cricut App! I like to save all my png images onto my MacBook Pro and onto an external hard drive, but you can do all this from your iPad. Make your iPad a one-stop superhero cutting station! 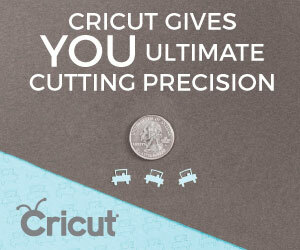 Open Cricut Design Space and select New Project. Select upload from the left side menu, click upload image, and then click upload image to browse and select the png file. Under Select Image type, choose simple. You have created a simple black and white drawing, so the process to import this high contrast image should be simple. Click continue. Your image is simple. So choose… simple! If you did not select a png with a transparent background, it’s no biggie. During this step you can manually click the areas that you need to “erase” in order to get a clean cut around your image. You would select all areas and then click continue. Mine is transparent, so I will just click continue. Using the blue arrow icon in the bottom right corner of your inserted design, click and drag your lettering to the desired cut size. Next, follow the 1, 2, 3 onscreen prompts to select your material, load tools and mat and press go! I love that there are reminders onscreen to mirror your image if you’re creating something with iron-on vinyl. Once you try this you’ll want to apply your lettering to everything! I have a lot of fun crafting toys in my studio. But u DON'T have to have everything to get creative. Check out this @officialcricut iron on vinyl that I cut by hand 👀 ... Hint: giveaway tomorrow. Can you guess what I'm giving away? ... And who noticed that I cut right-handed?!? !